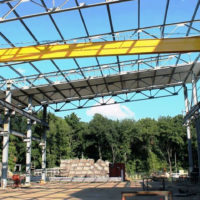 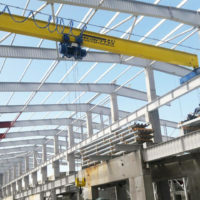 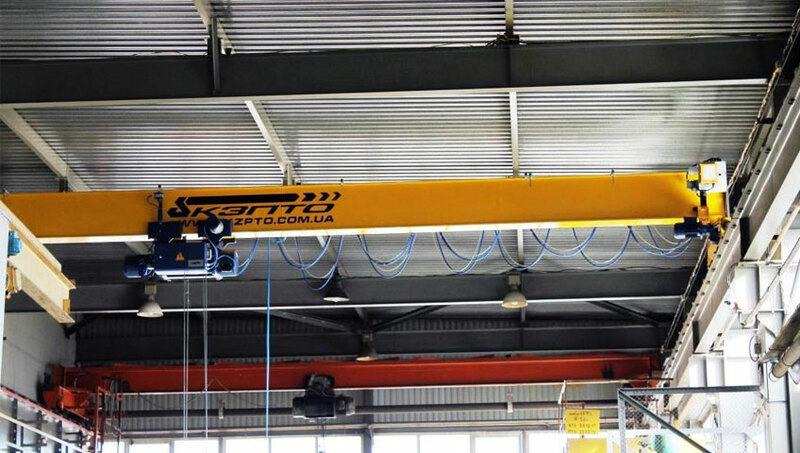 Having thoroughly studied the purpose of the crane and the technical task of the Customer, the specialists of the «Kyiv Crane Machinery Plant LLC» provided for two-speed mechanisms of lifting-lowering, movement of hoists and cranes. 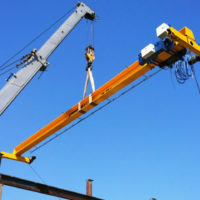 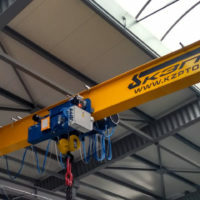 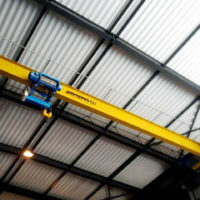 The control of the bridge crane with a lifting capacity of 5.0 tons is carried out regardless of the location of the tackle by a 6-button radio control panel, it is possible to duplicate a suspended standby console with a socket connection. 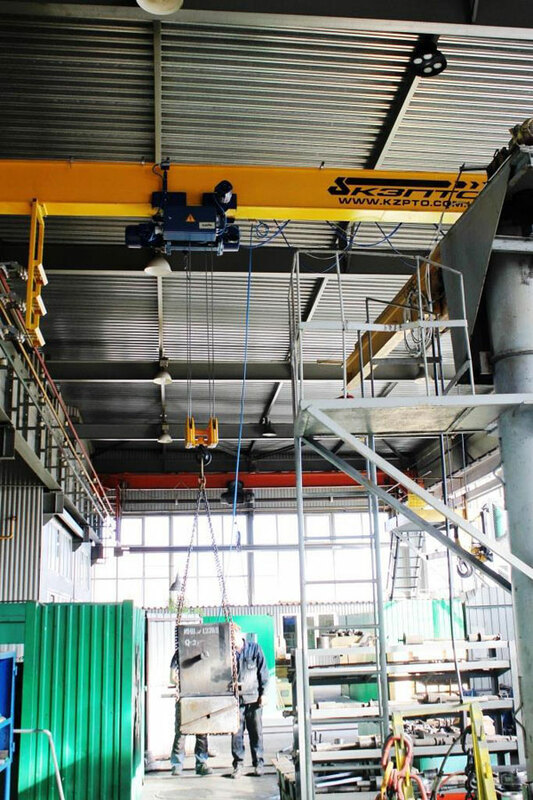 This requirement was realized thanks to the Festoon type current lead, which ensures convenient and safer operation of the operator. 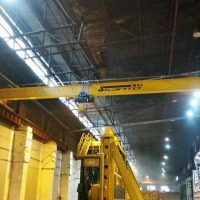 Thanks to the detailed design of the production work (PW) and the high skill of the "Kyiv Crane Machinery Plant LLC" specialists, the installation and commissioning work was completed as soon as possible. 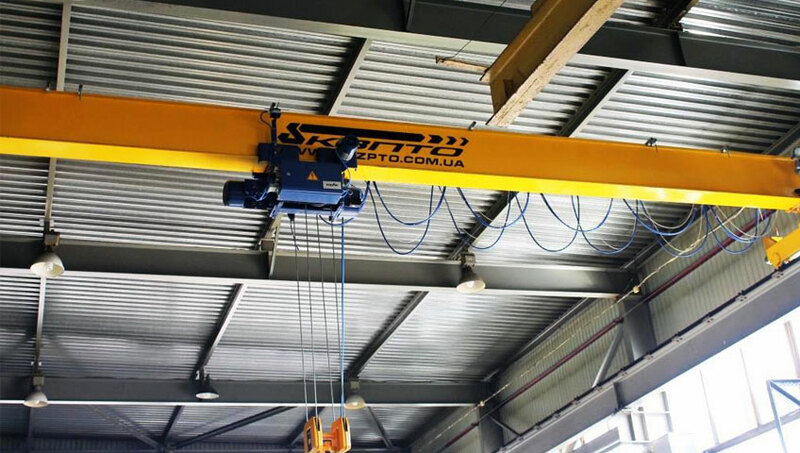 The high quality of the equipment was confirmed by statistical and dynamic tests, after which the crane was put into operation.